An active stage performer with one of her most notable coming in the title role of Leah from Leah, The Foresaken where she was deemed a genius in the role, she appeared in silent films such as Ladies of Leisure, Royal Bed, and The Rogue Song all in 1930. She started her acting career in 1902 when she appeared in her London debut of the play Magda. 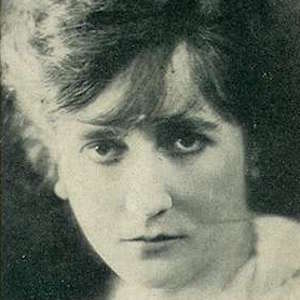 Her silent film debut came in 1915 in The Kreutzer Sonata. She was a very tall woman, nearly six feet, who performed in plays in Louisville, Kentucky such as Ned McCobb's Daughter and The Big Fight. She was married to Alfred Hickman from 1916 until his passing in 1931. She was close friends with famed criminal, Lizzie Borden.